British wildlife charity People’s Trust for Endangered Species (PTES) have issued some sensible advice ahead of Guy Fawkes night and any festivities this weekend. When building a bonfire and before lighting, remember to check for any wildlife that may have crawled inside, especially if the pyre has been created in advance. A large pile of twigs, branches and leaves can look like heaven to our native wildlife – especially hedgehogs – who may even consider this a safe place to hibernate over the cold winter. 1) Wait until the last minute before building your pyre. That won’t give any beasts the opportunity of claiming it as a den. You could pile the material next to the fire-site and then rope in a few hands to re-build the stack in the hours before lighting. 2) Check the structure thoroughly before setting it alight. This may be difficult with larger constructions. You may find a sleepy ‘hog so have somewhere safe lined up for relocations (e.g. under a dense bush in a garden or a hibernacula). 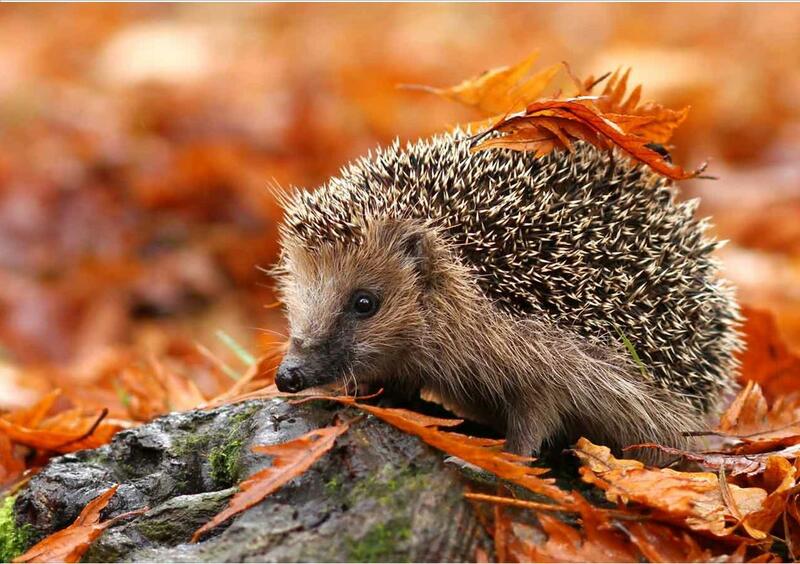 3) If you have to build your bonfire in advance, encircle the structure with a vertical perimeter fence of chicken wire to ensure it remains hedgehog free during the days prior to lighting. You could also help to spread the word by using #rememberhedgehogs in your tweets to promote hedgehog safety.